Alaska Native News Aug 8, 2018. Alaska State Troopers are urging hikers and explorers that venture out into the backcountry to be adequately prepared with survival gear, food and water, and to be aware of the weather conditions before setting out after a search and rescue incident on Monday. Troopers received a call reporting that the caller’s son was lost in the Baldy Mountain area in Eagle River. 40-year-old Jaime Wegener, the hiker, also contacted AST and reported that the “weather had turned and he was lost in dense fog.” He also advised troopers that he was without water, food, survival gear and needed assistance. 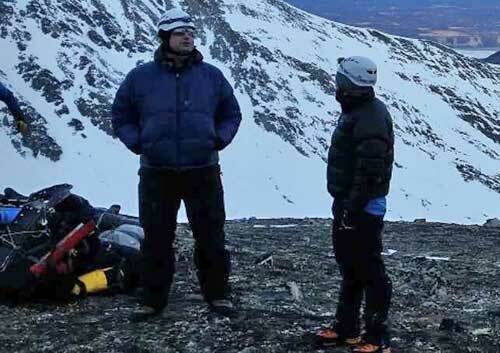 AST contacted the Alaska Mountain Rescue Group (AMRG) and Alaska Search & Rescue Dogs (ASARD) who immediately dispatched to the area to search for Wegener. They soon located Wegener in good health and assisted him back to the trailhead.